When shoe designers get it right: One of the best Adidas make ups every and a guaranteed head turner. The Walking Dead is an awesome adaptation of an awesome comic series, and you have to love Glove and Boots. 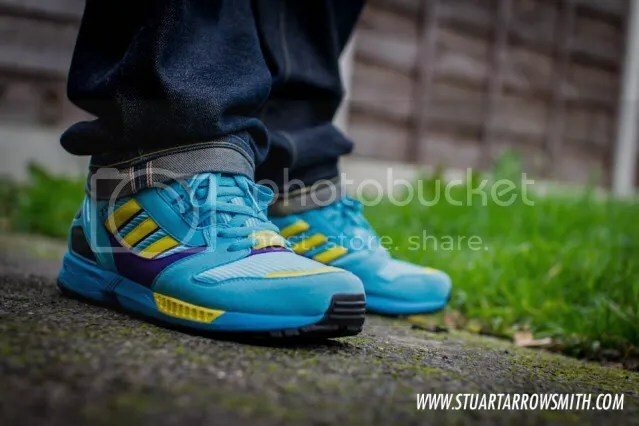 TIA – Vintage Adidas ZX? If someone can let me know what model these are it would be greatly appreciated. Seeing as these are getting another retro next year, I thought I’d break them out again. You won’t get much better than this model/colourway combination in my eyes….a classic. It’s not often a shoe gets released under the moniker of ‘Luxury’ and the materials match up to the promise. It’s ever more unusual for such a release to pass off widely ‘unhyped’….this Court Force matches up to both descriptions and is one that should feature in everyones ‘crate’ (either this black colour way or the the other, grey variant. First time out for these ‘marmite’ shoes….you either love em or hate em….one of the more ‘out there’ releases that nike have put out and a classic in my eyes. Criminally underrated, this, in my opinion, is bar far the best VII colourway released to date. These are the 05 release (identifiable by the gold lace ends).